Southern Grind produces high quality, USA made knives from their metal shop in Peachtree City, Georgia. 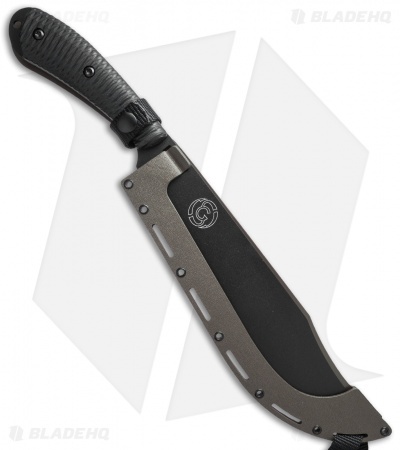 The Grandaddy Machete is a ruggedly designed fixed blade knife that offers heavy duty construction and a lightweight EDC design. The Grandaddy G2 features a black powder coated blade made from 8670M high carbon steel in a modified tanto style. It has been differentially heat treated so the blade can bend up to 90 degrees without fracturing. The full-tang handle comes equipped with black G-10 handle scales that have been expertly milled for a secure grip. A skeletonized kydex sheath is included with the knife that includes an adjustable belt clip, nylon leg strap and Southern Grind's custom quick thumb release mechanism. 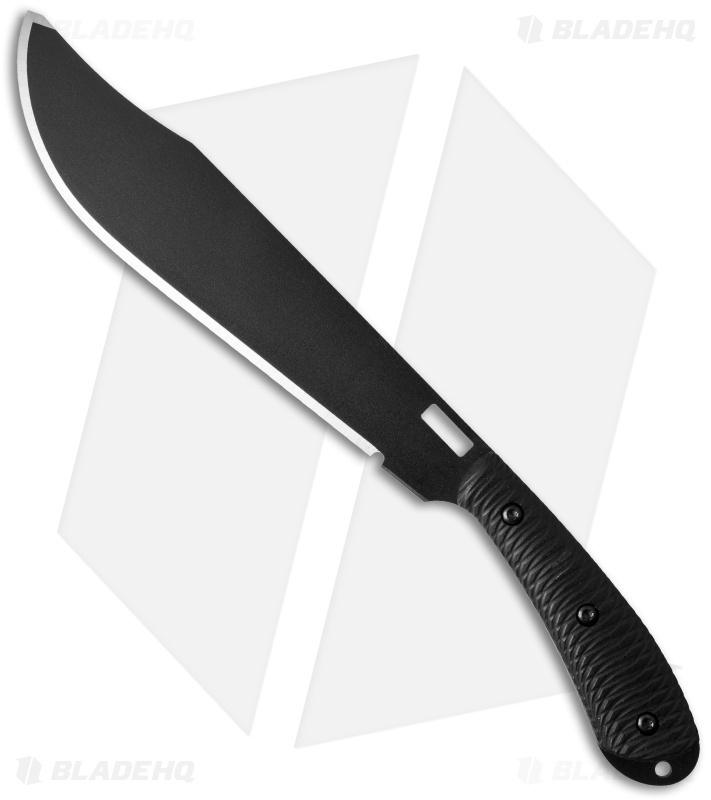 Simply lift the kydex tab near the handle and the blade slides smoothly and quickly out of the sheath. The Grandaddy G2 offers an innovative EDC design that is both comfortable to use and to carry.